This super-moisturizing formula gives skin a soft, healthy, even-toned glow as it helps reverse the visible signs of aging. Formulated with a natural collagen boosting, skin firming blend of Hexapeptides and Milk Thistle Extract. Softens fine lines and imperfections. Skin looks and feels refreshed, renewed and beautifully luminous. Offers medium-to-full coverage. For Normal to Dry Skins. Usually, I still like to use a primer underneath, just to prolong its wear. I also like applying it with a stippling brush for a thin and even application. Thanks to the MAC Warehouse Sale, I got to purchase this foundation for only $12! I've been trying to purchase this again as a back up but haven't had any luck since. See my haul for this here. Following my first Bobbi Brown favourite, Cleansing Oil, here is my second favourite! This is my only non SPF foundation and it's the only foundation I use for night time or when I know there will be flash photography. 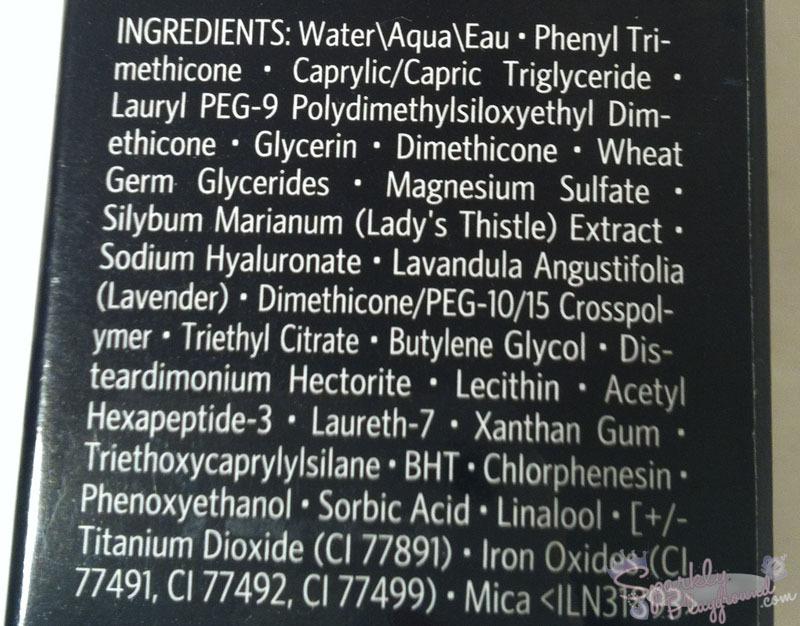 Of course, I use this during the day too, I either mix this with sunscreen or SPF base of some sort. I've been using this product for almost a year now, hence my hair up in that photo is brownish. Starting with the packaging, like most of their products, it comes in a black paper box. Inside I actually found a Bobbi Brown Cream sample, which was nice! The bottle is made of glass, it does not have a pump and the opening is about as big as a nickel. I personally don't enjoy that part because I'm always so scared that I over pour out the product. As mentioned in my previous posts, I have very dry skin both in summer and in winter seasons. 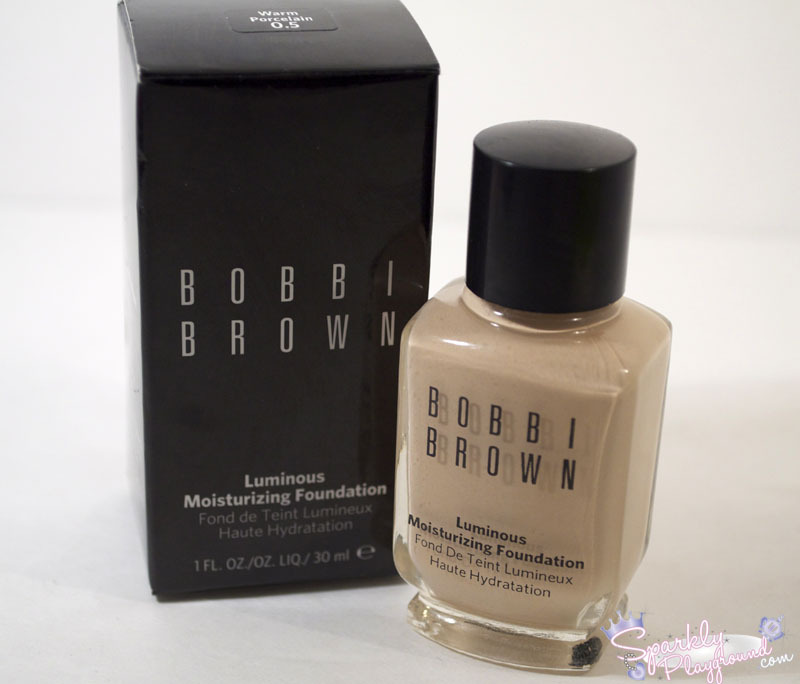 This foundation is very moisturizing for my skin and leaves a nice dewy, healthy finish to my skin. It matches their claim for the name without over doing it. I never get breakouts or white-heads from this product! ps, and it smells lovely like a luxury product. The colour I purchased, 0.5 Warm Porcelain, doesn't seem to be available on their website anymore. I'm not sure whether this colour has been discontinued or not. 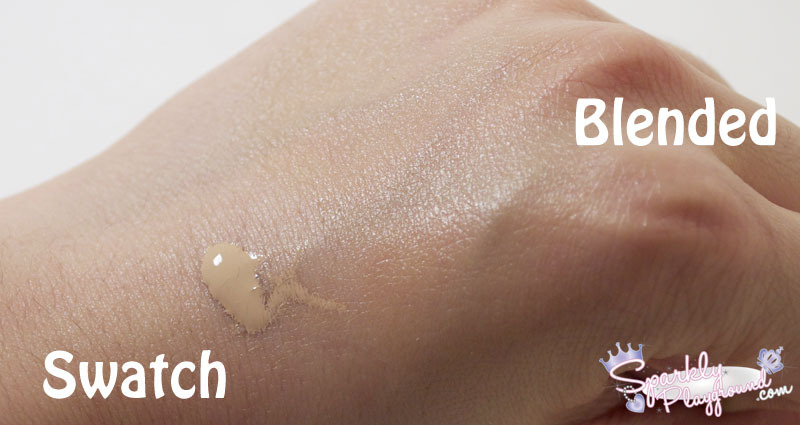 This shade is actually lighter than my skin colour as you can see in the swatch, but once blended, it blends into your own skin colour. I've read tons of reviews before say that they bought a few shades of but the foundation is extremely forgiving and can blend into your colour regardless. In terms of coverage, I think that the coverage is medium, and it's lightweight. It covers my freckles and evens out my dark spots. It doesn't cover my eye bags well but that would be too much to ask for, haha, my eye bags are so dark lately! Some downsides to this is first, I think my colour discontinued so I might need to go match it again. Second is the retail price at $55 is definitely steep however it is a department store brand and it has anti-aging ingredients for prolong benefits. The bottle lasted me a year now and I still have a ton of the product left so I find it quite worth the bucks. The product estimates an expiry period of 24 months after using so I have a bit of time before I have to left it go!